Situated close to the shores of serene Koh Yao Noi, Ani Villas Thailand overlooks the stunning coastlines of Phang Nga Bay. Set upon sprawling grounds, this majestic ten bedroom abode promises to offer an enchanting Southeast Asian experience like no other. A plethora of lush amenities ensures that there is something for everyone at Ani Villas Thailand. 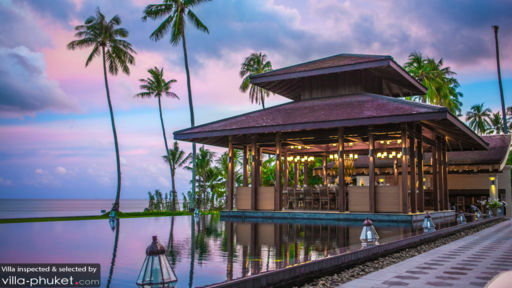 Culinary enthusiasts will enjoy whipping up a storm of Southeast Asian dishes during private cooking classes, while fitness buffs can work up a sweat in the fitness center. Zen vacation makers will be keen on stretching out the knots in their bodies by joining a yoga session held at the breezy outdoor pavilion. Ten capacious bedrooms makes Ani Villas an ideal abode for accommodating large groups of travellers. Two of the bedrooms are master suites, four are pool villas boasting sweeping views of the ocean, and the remaining four rooms are spacious family suites. Travellers with a love for the outdoors may set off for the beach with an array of watersports equipment, or take a stroll along the fine stretch of sandy shores beyond the garden compounds of the villa. Those hit by a bout of languor are sure to opt for a lazy afternoon of sunbathing, or indulge in a soothing massage treatment at the private spa facility. The little ones are not left out at Ani Villas Thailand, for a daily children’s activity program will keep them well entertained throughout their stay. Ani Villas Thailand’s tastefully decorated interiors exude vibes of opulence and luxury. Towering pillars and oriental ornaments add a touch of grandeur to the contemporary design. A fine spread of delectable gourmet dishes, prepared by the talented in-house chef, is laid out at the airy dining sala at every meal. Ani Villas is a full service property. The following amenities are included with your stay: housekeeping service, laundry service, security service, guest services, in-villa massages, daily breakfast service, bicycle rental, gym facilities and welcome drinks. Families will appreciate the availability of kid-friendly amenities, which includes a baby cot and child-minding services. Personal chef service (lunch and dinner), vehicle rental, boat rental and personal driver service are available at additional cost. Guests keen on venturing out to explore the attractions and sights of scenic Koh Yao Noi will be spoilt for choices, for a variety of adventurous activities, such as cave kayaking, mountain biking and rock climbing awaits. 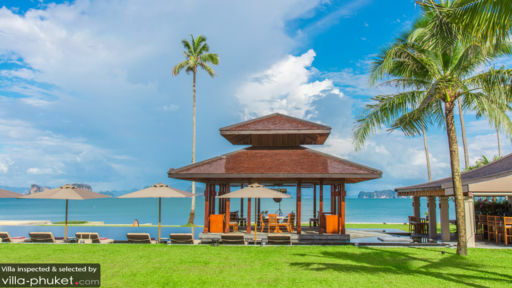 Couples who are on the lookout for a dreamy venue for their destination wedding should take mental notes on Ani Villas Thailand, for its vast compounds and beachfront location makes it a perfect site for hosting large-scale wedding celebrations. 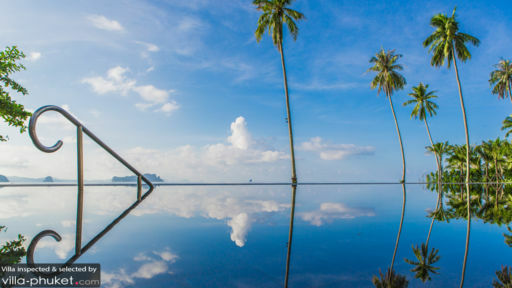 If you're looking to relax and get away, look no future than Ani Villas Thailand. Between the beautiful property, extremely helpful staff and the overall experience this is a must visit spot! I can't wait to go back! We've stayed in hundreds of villas over the years and I must say Ani Villa stands apart. Absolutely every aspect of Ani Villas is 7-star: from the immaculate gardens, beautifully appointed suites, attentive and warm staff, to the most incredible location on the beach facing Krabi's iconic islands. Everything was great. The staff was like family and took care of everything and were extremely delightful to spend time with. The chef was superb and cooked a variety of interesting cruisines throughout the stay. Thanks you so much! This is by far one of the most amazing villas I have ever stayed in. Just incredible. From the moment we arrived to the moment we left we felt at home. The staff were amazing. They have a fully inclusive option where all meals and drinks are included. The food was incredible and the chef catered to our dietary needs perfectly. We stayed only 2 nights and this was not enough. I will certainly be back with the team. Thank you again for the wonderful stay. We stayed in Ani Villas in April 2016. The villas are comfortable and luxurious. We enjoyed the massages and pool. The food was great, and even was kosher. The chef was attuned to our needs. We even enjoyed a cooking class with him, It couldn't have been better..